You can draw with the Pencil tool to create central vector lines. 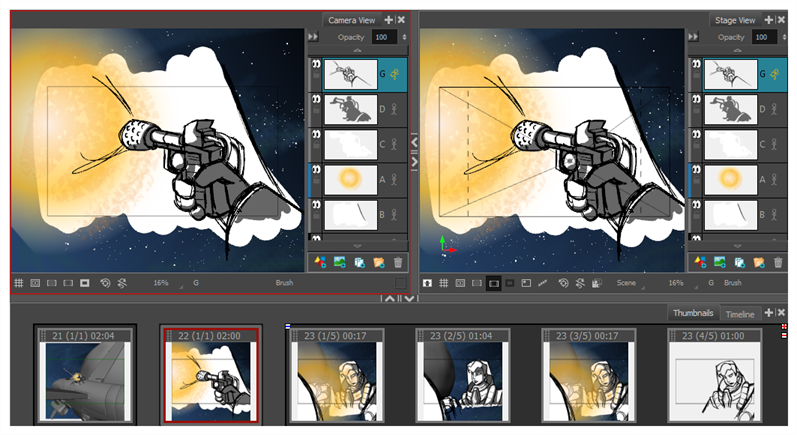 In the Camera, Stage, or Thumbnails view, select a vector layer to draw on. You can change the current colour by adjusting the sliders in the Colour view, or click a swatch to use that colour. To add colour swatches—see Adding Colour Swatches.